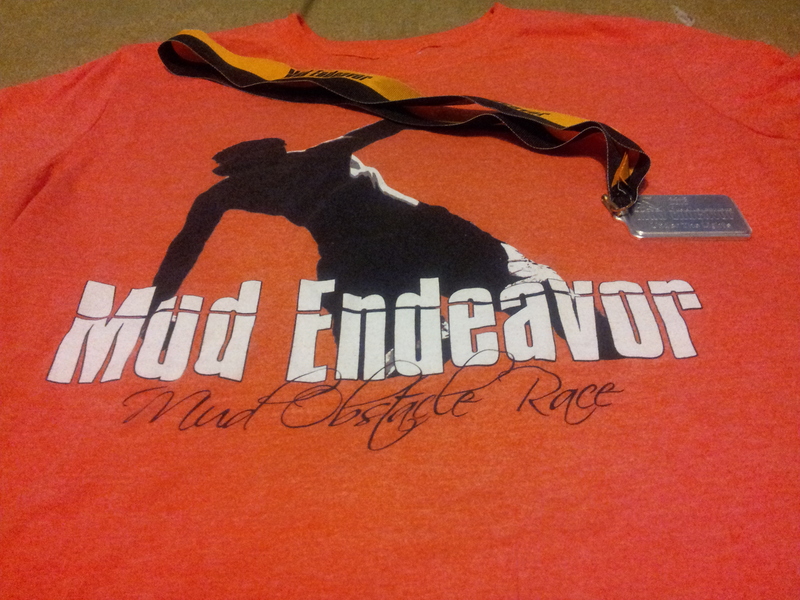 This is an extremely late race review, Mud Endeavor Dade City was July 20th. But it just so happens that was when I fell off the blogging wagon, and this race was too fun not to mention. Honestly it was long enough ago that I don’t remember all of the obstacles or the order, but I do remember it was a REALLY well put together run, well enough that I would be interested in any run Mud Endeavor puts together. This was the stickiest, muddiest run I’ve done so far. There were a bunch of people who lost their shoes, some at the very beginning of the race. I was wearing my minimalist toe shoes and they lasted to almost the end of the race – then I got both feet stuck and couldn’t get them out of the mud. I had to get them out without the shoes then pull the shoe out with my hands – and I thought for a couple of minutes they were lost. As great as that is, it wasn’t what made the race so great. I don’t know if all of the people working at the obstacles were volunteers or part of the crew but they were awesome and they made the race. The obstacles had lots of options. For example, we had to climb several HUGE walls with 2 by 4s to help you get up. There were 4 places to go up, each with the 2 by 4s arranged in ways to make it easier or harder. The people working at the obstacles actually gave advice on how which one to take, how to get through the obstacles, and cheered you on. On top of that the water stations had tons of water and it was CLEAN which I’ve found isn’t always the case at these runs. I ran this one with my sister. Here we are before and after, slight difference. This is the first race I ever did that I was able to go up a rope. I was super excited but in the interest of full disclosure it was only because of the guys helping people at the obstacle. But I still had to put in enough effort that my arms were useless for a while afterwards – definitely something I would like to get better at. You never know when being able to climb a rope may save you from zombies after all. In spite of how proud I was to get up that rope, it wasn’t the hardest obstacle. They had several, I think 3 layers of black tubes like the one in the picture below in a pyramid and you had to climb them. The picture is of one at the park that is maybe a foot and a half wide. The ones they had were so tall I could barely reach the top of the bottom pipe. But what made it impossible is the fact that it had been raining the whole time, so they were insanely slippery. Even the biggest of the guys were having a difficult time with this one. I had to get a boost up. Going down the other side took a leap of faith all in itself! I think the final thing that made it so fun was that it was just me and my sister, and neither of us are strength rock stars. There was a series of walls we had to get over were she gave me a boost and then I came back around and gave her a boost. We had to be the biggest nerds on the whole course but I did every single obstacle and in this race that felt like a big deal!